MIDDLE MOUNTAIN – Investigators on Thursday combed the rugged wilderness above Vallecito Reservoir in search of more evidence in the death of Dylan Redwine, a 13-year-old boy who went missing in November 2012. The search started Wednesday and is expected to last through Monday. 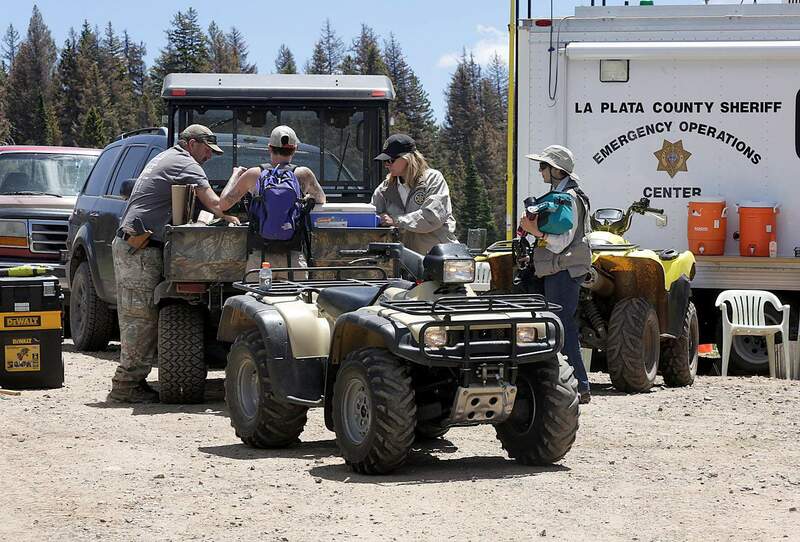 Nineteen people participated in Thursday’s search, but that number is expected to grow to 50 this weekend, said Dan Bender, spokesman for the La Plata County Sheriff’s Office. It is being conducted near the top of Middle Mountain, along the same road where some of the boy’s remains were found in June 2013. The Sheriff’s Office has searched the 12-mile stretch of road numerous times in the past, usually after the winter snow melts or before the snow flies, in hopes of finding newly revealed clues. “We try to search each summer, and particularly this summer after the heavy rains that we had this spring and early summer, there’s a possibility that items that may have been covered have been cleared by erosion,” Bender said. Over the years, investigators have found “a variety of items,” including human remains that DNA testing confirmed as belonging to Dylan. They are working in deep canyons and dense forest at about 10,800 feet in elevation, in an area northeast of the boy’s father’s home. Community members started a Facebook campaign in 2013 to change the name of Middle Mountain to Dylan’s Mountain in honor of the boy, but the effort eventually lost steam. A section of Middle Mountain was cleared of campers, and it is closed to vehicular traffic this week while the search is in progress. The Sheriff’s Office said on Thursday that the investigation won’t be considered a success until someone is arrested in the boy’s death. Dylan went missing while on a court-ordered Thanksgiving week visit with his father, Mark Redwine, who has a home north of Vallecito. Mark Redwine has been named a person of interest in the boy’s death based on “evidence collected, inconsistent statements and his behavior throughout the investigation,” according to the Sheriff’s Office. Dylan’s death has been ruled a homicide based on evidence collected in the nearly four-year investigation, Bender said. He declined to be more specific. The case has attracted nationwide media attention, including a two-part television episode of “Dr. Phil,” in which Dylan’s mother, Elaine Hall, accused her ex-husband, Mark Redwine, of killing their son. Mark Redwine at first agreed to take a polygraph test administered by one of Dr. Phil McGraw’s experts, but when it came time to do the test, he backed out of doing it. Along with the La Plata County Sheriff’s Office, agencies involved in this week’s search include: the FBI, U.S. Immigration and Customs Enforcement, Denver police, Fort Lewis College anthropologists, Boulder and Garfield county sheriff’s offices, Grand Junction police, Colorado Parks and Wildlife, Upper Pine Fire Protection District and mounted patrol. Law enforcement agencies from around the state also have been involved in previous searches. It is unlikely La Plata County Sheriff’s Office will release any information about the outcome of this week’s investigation, Bender said. 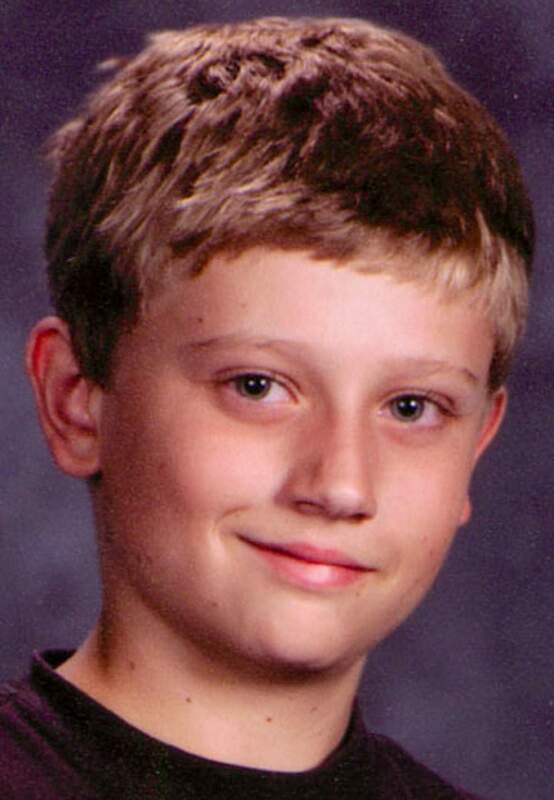 Search for clues in Dylan Redwine case La Plata County Sheriff's Office led a search this week for any clues in the case of Dylan Redwine's death. Searchers combined Middle Mountain near Vallecito Reservoir. La Plata County Sheriff's Office led a search this week for any clues in the case of Dylan Redwine's death. Searchers combined Middle Mountain near Vallecito Reservoir. La Plata County Sheriff’s Office investigators search Thursday for evidence in the continuing investigation of Dylan Redwine’s death. Searchers worked about 11 miles up Middle Mountain Road northeast of Vallecito Reservoir. 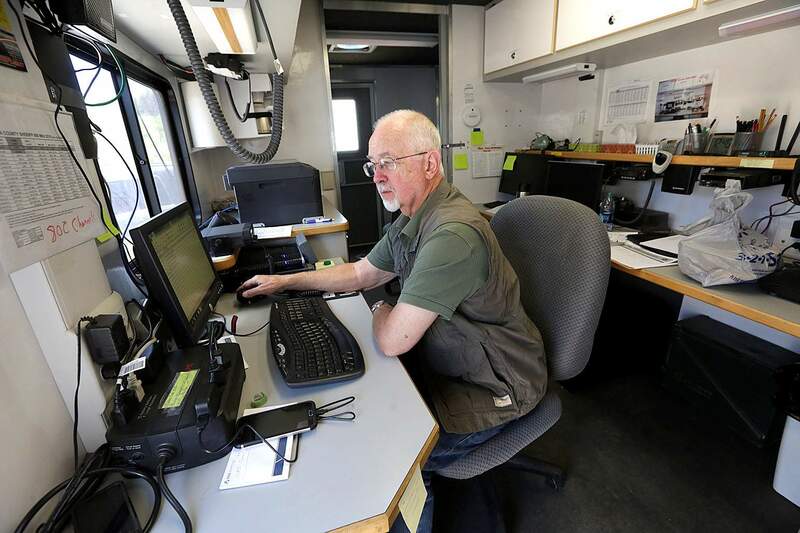 David Wylie with the La Plata County Sheriff’s Office works Thursday at the command center as investigators continue to search for evidence in the investigation of Dylan Redwine’s death. Searchers worked about 11 miles up Middle Mountain Road northeast of Vallecito Reservoir. 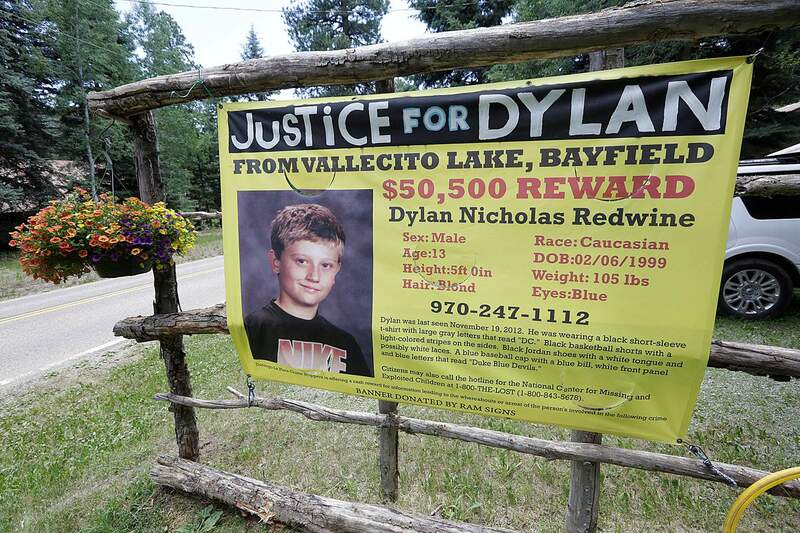 A Justice for Dylan Redwine sign remains in place Thursday – 3½ years after he went missing – at Vallecito Reservoir, reminding passers-by that the homicide case is unsolved. This week, La Plata County Sheriff’s Office investigators searched for evidence related to the case, scouring the forest terrain 11 miles up Middle Mountain Road northeast of the reservoir. Courtesy Photo- Dylan Redwine who disappeared during a court-ordered Thanksgiving visit to his father in November 2012.